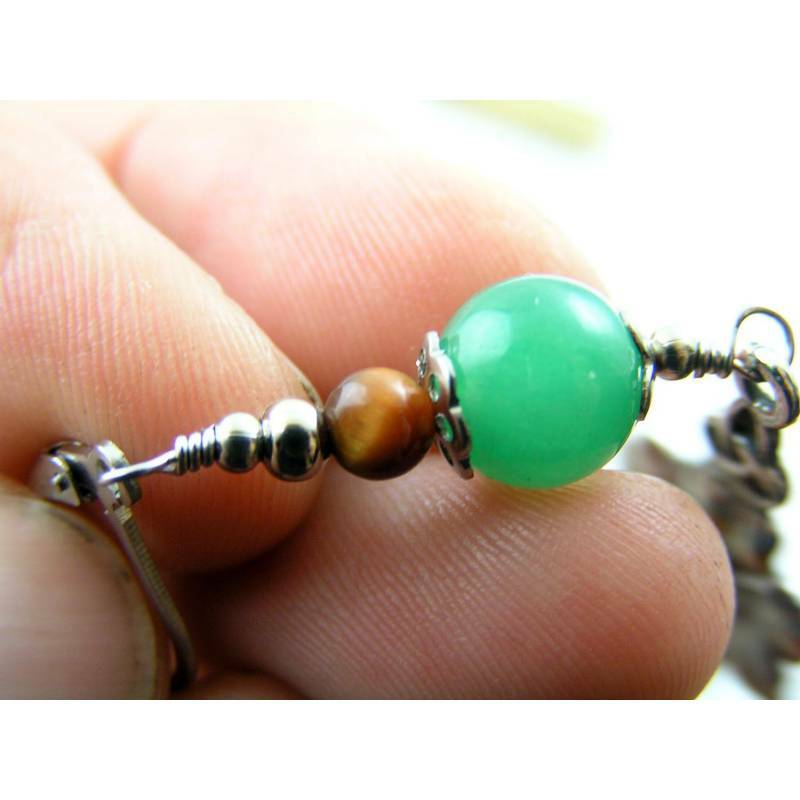 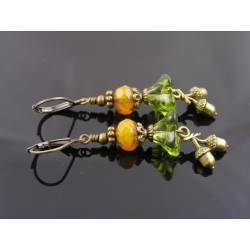 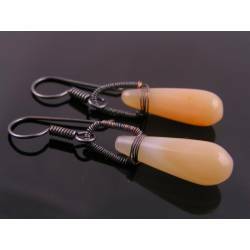 Smooth citrine drops at the bottom and a link with a green aventurine bead, topped by a small tiger's eye bead. 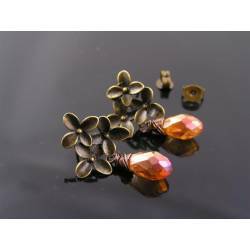 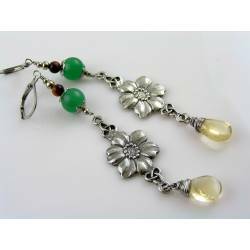 All metal is solid stainless steel, the flower connectors are lead-free pewter and wire wrapped has been done with steel coloured craft wire. 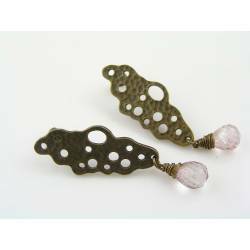 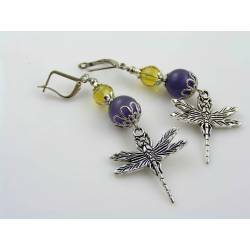 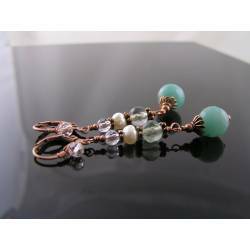 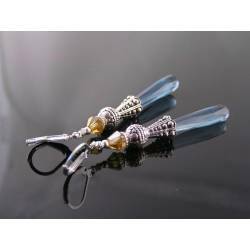 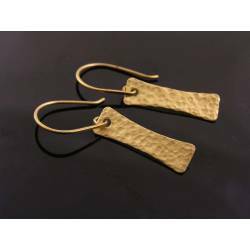 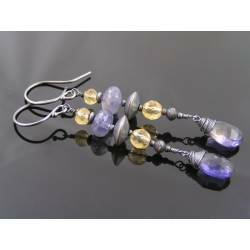 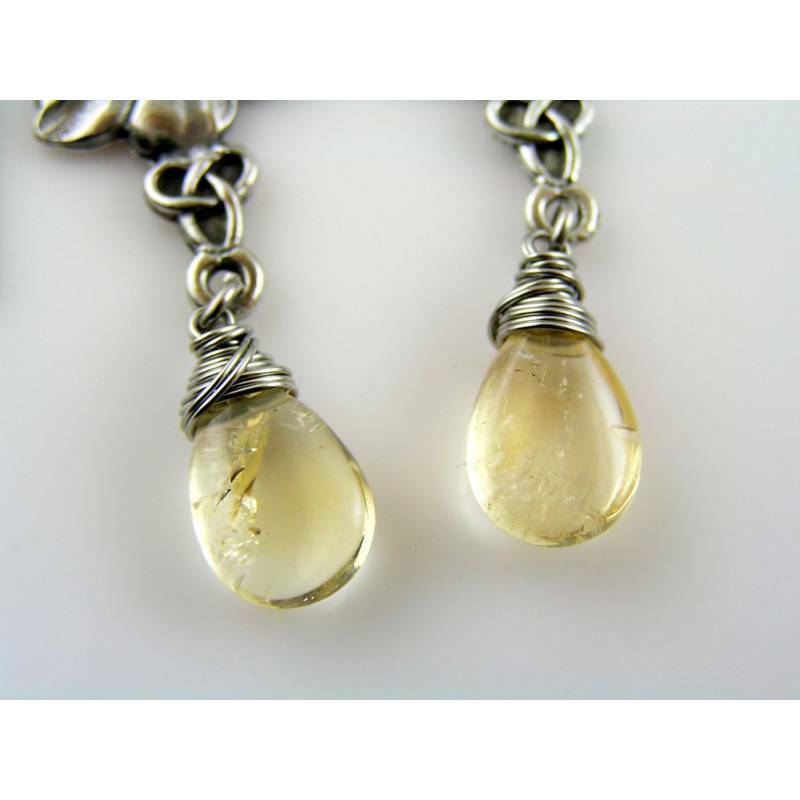 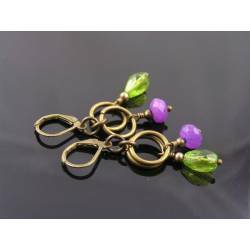 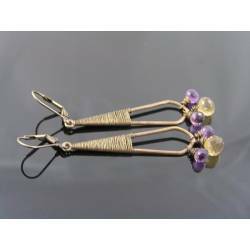 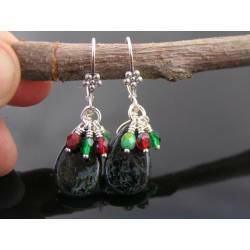 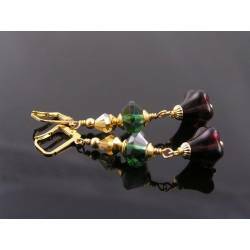 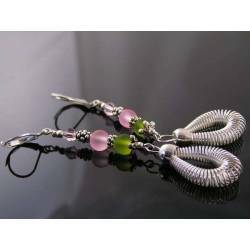 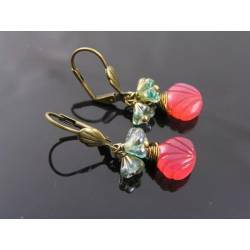 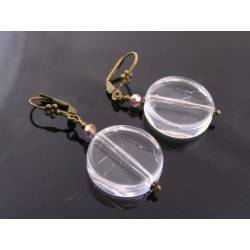 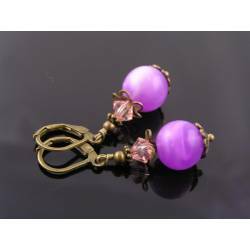 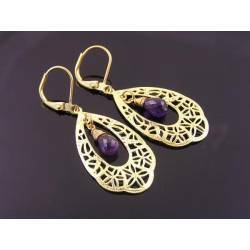 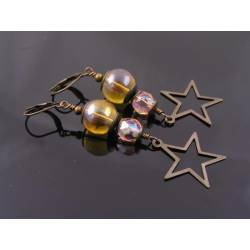 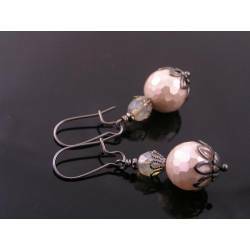 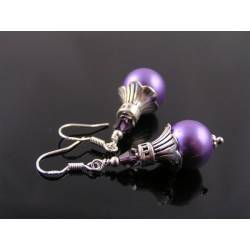 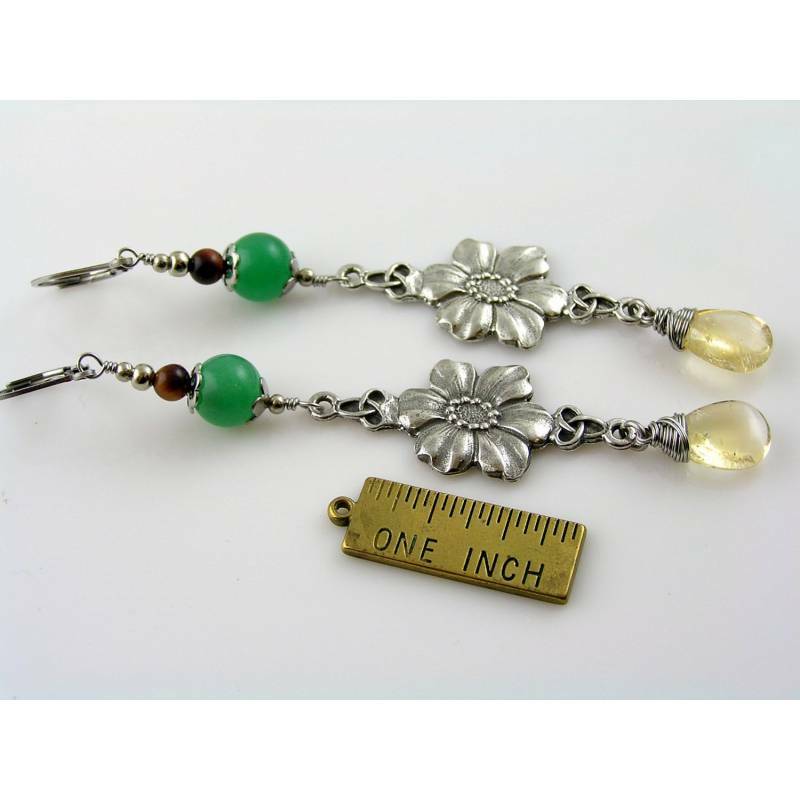 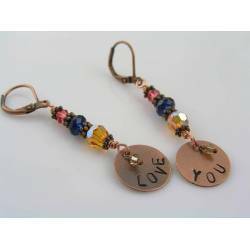 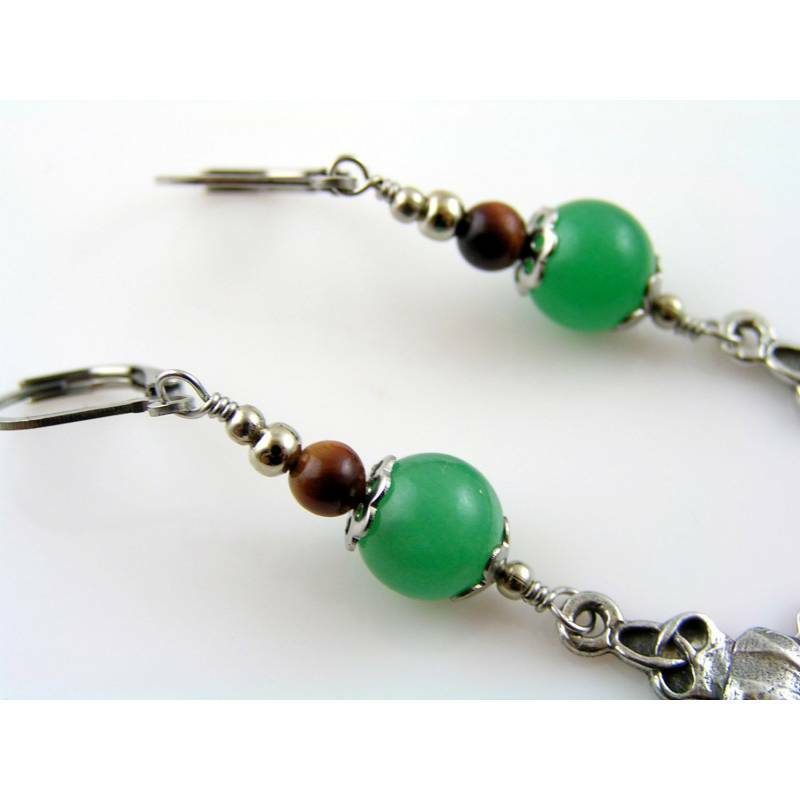 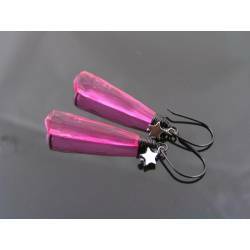 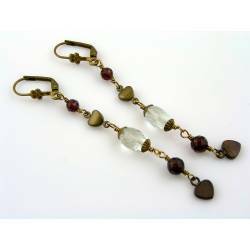 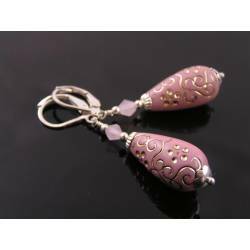 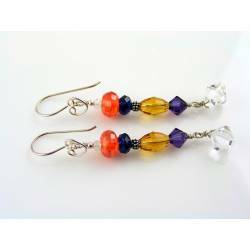 Total length is 8.5cm or 3 1/2 inches, including the secure lever back ear wires.